If you are writing with only Heroes and Villains, you are limiting yourself. A Hero is a Main Character who is also a Protagonist. A Villain is an Influence Character who is also an Antagonist. What’s the difference between a Main Character and a Protagonist? The Main Character represents the audience position in the story: It is the character the audience most cares about, most empathizes with. The Protagonist is the character who drives the plot forward. These two functions don’t have to be placed in the same character as they are in a Hero. In real life, we are not always running the show. Similarly in stories, the Main Character doesn’t have to always be the guy leading the charge. Separating the two functions opens up a wide variety of new audience experiences and creates characters that are less archetypal and formulaic. Similarly, when we split a Villain into an Influence Character and an Antagonist, we open up opportunities, some of which bear directly on the nature and function of a Love Interest and the structure of a "Buddy Picture." First, what is the difference between the Influence Character and the Antagonist? 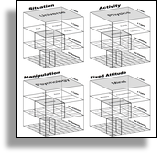 The Influence Character represents a point of view opposite that of the Main Character. Every Main Character will be driven by some central belief system around which the story’s philosophic argument revolves. This belief system might be an attitude, a way of doing things, or something as extensive as a specific "world view." The Influence Character represents the view that is diametrically opposed. Over the course of the story, the Influence Character’s impact will bring the Main Character to a point of decision at which he or she must choose to stick with the old "tried and true" philosophy/approach or to adopt the alternative put forth by the Influence Character. In many stories, this moment results in a "Leap of Faith" in which the Main Character is forced to make a conscious decision to go with one view or the other at the critical moment. In other stories, the Main Character may gradually warm to the Influence Character’s view, but the audience is not sure if that warmth will hold when the chips are down. Only at the critical moment will the story demonstrate on which side of the fence the Main Character drops, not by conscious choice but by responding from the heart. When a Hero battles a Villain, both the functional relationship of the Protagonist/Antagonist battle for supremacy in the plot and the personal relationship of the Main Character/Influence Character occur between the same two characters at the same time. In a sense, working with Heroes and Villains flattens these two relationships into a single relationship. This often confuses an audience, as they are often not sure which of the two relationships is being described by a particular moment between the two characters. What’s more, it is easy for an author to leave holes in each kind of relationship because if something happens in one of the two, its dramatic momentum can carry the attention past a gap in the other. In fact, it is the foundation of a Melodrama for the audience to accept as a style that gaps in both relationships are acceptable, as long as the combined momentum of them both carries the attention on to the next point in either. To avoid audience confusion and prevent your drama from disintegrating into a Melodrama, you may wish to split up either the Hero, the Villain, or both. When both are split, it allows for a complete separation of the functional relationship and the personal relationship, allowing for each to be fully developed by the author and experienced by the audience. When only one character is split, the two relationships converge on the remaining character. So, we might have a story with a Hero (Main Character/Protagonist) who has a functional relationship with the Antagonist and a personal relationship with the Influence Character. This forms a "V" shaped pattern which is referred to as a Dramatica Triangle. In another tip, we’ll explore the Dramatic Triangle and how it can be used to build "Love Interests" and for "Buddy Pictures." Predicts Your Story’s Perfect Structure!